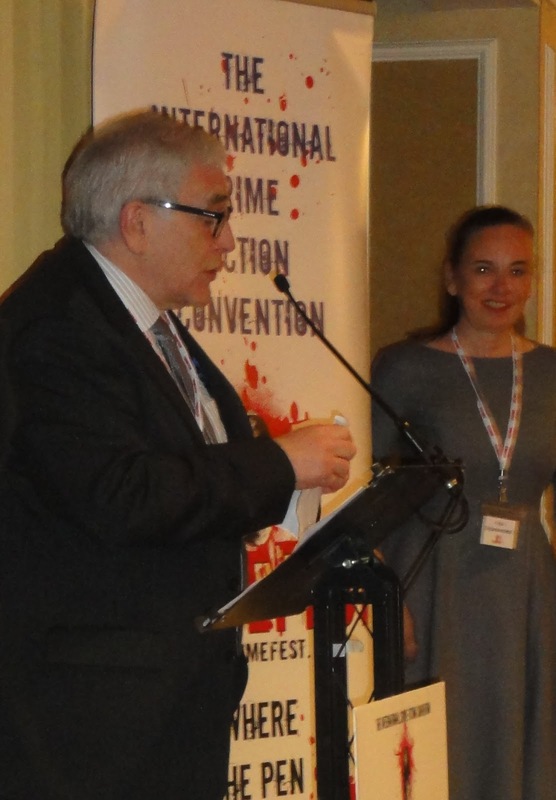 On 21 May 2016, at the Gala Dinner at CrimeFest, Bristol, Petrona Award judges Barry Forshaw, Katharina Hall and Sarah Ward announced the winner of the 2016 Petrona Award for the Best Scandinavian Crime Novel of the Year. 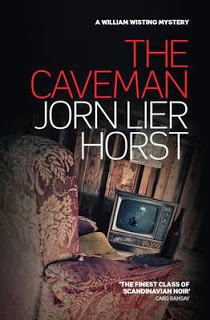 The winner was THE CAVEMAN by Jorn Lier Horst translated by Anne Bruce and published by Sandstone Press. The trophy was presented by last year's winner Yrsa Sigurdardottir to Jorn Lier Horst's representative, Robert Davidson of Sandstone Press. This is the fourth Petrona Award and I feel highly honoured to follow Liza Marklund, Leif GW Persson, and Yrsa Sigurdardottir. I am also very grateful to the jury for the trouble they have taken, for their expert knowledge and their commitment over the years. They pay great tribute to their late colleague, Maxine Clarke, whose memory is perpetuated in this most suitable of ways. Our present time will be referred to in future as the ‘Golden Age of Scandinavian Crime Literature’. 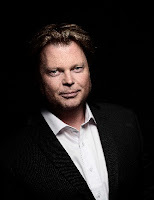 Never before have so many Scandinavian authors written so many good crime novels, with a vitality and quality that not only attracts readers worldwide but also enhances the whole crime genre. In such a time it is especially an honour to receive the Petrona Award, particularly gratifying and a source of great pride. Thank you. Mr Davidson added: This is yet another recognition of a very fine author. More than just a crime writer, Jorn Lier Horst is a novelist who has extended beyond his genre. I would like also to pay tribute to his translator, Anne Bruce. All of us at Sandstone Press are very proud to be the publishers of this great series. As well as the trophy, Jorn Lier Horst receives a pass to and a guaranteed panel at next year's CrimeFest. THE CAVEMAN is a gripping police procedural drawing on Jorn Lier Horst’s experiences as a murder detective. All the books in the 'William Wisting' series have had compelling narratives and THE CAVEMAN is no exception, exploring a Norwegian society where, in a supposedly close-knit community, a man can lie dead at home unnoticed and unmourned for weeks. Excellent plotting, well-drawn characters and writing of the highest quality make this book a worthy winner of the 2016 Petrona Award.